Today we’d like to introduce you to Rosi Amador. Rosi, let’s start with your story. We’d love to hear how you got started and how the journey has been so far. In the 1980’s, while touring and recording, we began to be called upon for educational voiceover recordings for kids. Recording at studios in the Boston area into the 90’s, we learned on the job, and we loved it! Developing this passion for recording voiceovers led to the official establishment of our company, Amador Bilingual VoiceOvers 2010. Eventually voiceovers replaced music as our full-time career, in an organic way. ABVO is a family business. Rosi, Brian and our 21-year old daughter Alisa record bilingual voiceover regularly for a global list of clients. We use our voices to build cross-cultural bridges, and to bring compelling messages to life. We serve both North American and Hispanic/Latin American markets, recording from our private studio in Cambridge. Our success is built upon our ability to provide evocative voice acting in flawless native English and neutral Latin American Spanish or English with a Hispanic accent. We are bilingual and bicultural, and we navigate both worlds seamlessly. We are now one of the foremost providers of bilingual English and Spanish voiceovers in the United States. As for any entrepreneurs, it took time to establish ourselves both as musicians and as voiceover actors, locally, regionally, nationally and then internationally. The journeys have been similar for both careers in that succeeding as a business that fills any need has everything to do with understanding what the needs are in the market and meeting that need with the utmost care and dedication, so that your clients feel they’ve found a great resource they can rely on again and again. As musicians, there were continuous struggles as levels of funding for our cultural presenters ebbed and flowed. The ups and downs during the 80’s and 90’s were frequent, yet we persevered by continually believing in our music and its message and by marketing ourselves, communicating with our fan base, which at one time numbered 11,000, by snail mail (!). Fortunately we can do this online now. We still do around 30 concerts a year, primarily in the Boston area with occasional tours to places we love such as California, New Mexico, and parts of New England. Making a living as a musician was and still is a sacrifice unless you do commercial music, and you really have to love it since musicians aren’t compensated as well as they should be. As bilingual voiceover actors we worked hard to establish ourselves locally and be seen as a resource for local production companies, very quickly getting connected with regional and national companies, recording studios and then agents, by training with voiceover coaches and acting coaches and by researching which important industry events to attend that could best help us improve our skills and grow our network. All of this took time and due diligence. The challenge at first was to figure out where the resources were to help us become as professional and skilled as possible. Finding local mentors was a critical step that led to launching our business officially once we felt confident about presenting ourselves in the marketplace. So, as you know, we’re impressed with Amador Bilingual Voiceovers, Sol y Canto – tell our readers more, for example what you’re most proud of as a company and what sets you apart from others. Amador Bilingual Voiceovers plans to continue building its local and international clientele, providing top quality bilingual voiceovers for clients including the Smithsonian’s African American Museum of History and Culture, MIT, Biogen, Discovery Education, Expedia Travel, Mattress Firm, PBS, Bilingual children’s audiobook publishers Live Oak Media and Barefoot Books, Royal Caribbean Cruises and the National Fire Protection Association, to name a few. 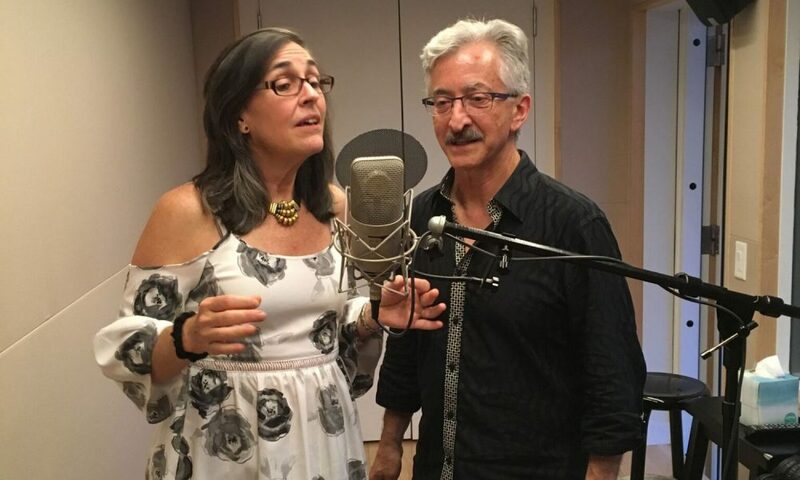 Rosi and Brian also teach an introductory voiceover skill class at the Cambridge Center for Adult Education a couple of times a year.